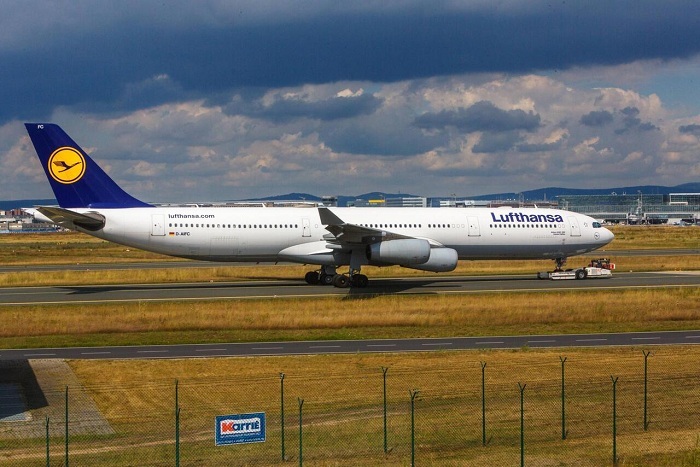 Lufthansa passenger flight from Frankfurt to the Brazilian city of Sao Paulo was forced to turn back after technical problems were detected on board on Monday. The plane was expected to arrive back in Frankfurt yesterday morning and undergo a technical examination, said a spokeswoman for the German airline. The 284 passengers were put up in hotels before they boarded another flight to the Brazilian city. The website FlightRadar24, which tracks air traffic activity, showed the Boeing 747 turning back above France. The aircraft manufacturer Boeing currently has unprecedented technical problems with another type of aircraft, their much discussed Boeing 737 Max, which has been involved in two deadly crashes in less than a year. Ethiopian Airlines flight 302 crashed last month outside Addis Ababa, the Ethiopian capital, killing all 157 people on board. The plane model was also involved in an October crash outside of Jakarta, Indonesia. All 189 people on board Lion Air flight JT610 were killed. Both crashes took place shortly after takeoff. More families of victims of the Lion Air crash in Indonesia are suing Boeing Co. after its chief executive apologized and said a software update for the MAX 8 jet would prevent further disasters. Family members and lawyers said Monday that CEO Dennis Muilenburg's comment last week related to an automated flight system was an admission that helps their cases. The anti-stall system is suspected as the cause of the Lion Air crash in October and an Ethiopian Airlines crash in March that also involved a MAX 8 jet.